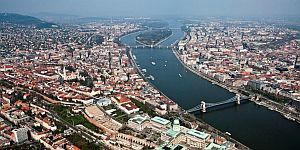 The Danube river flows trough the city centre of Budapest, and this panorama is part of the World Cultural Heritage List by UNESCO. There’s no better way to explore the beauty of Budapest than cruising on the Danube! Take a boat ride during the day, or at night to enjoy the wonderful view of the city swimming in lights. With a Music Academy once led by Franz Liszt, Hungary has a great musical heritage! 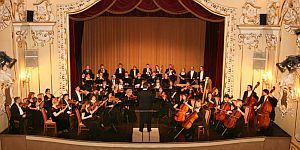 Enjoy an Organ Concert in our church of marble and gold, a Chamber Music Concert in one of the Palaces, or a Symphony Concert where famous melodies are performed by a great, 60 member orchestra. The cultural traditions of Hungary are unique in the world! 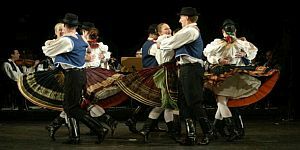 There exist only a handful of countries where folk music and dances are being practiced at such a high artistic level. In Hungary, these art forms are treated as an indispensable part of the country’s heritage. 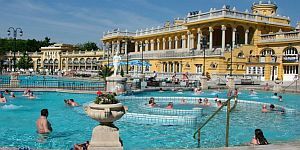 Underneath Budapest there are more than a 100 hot springs, so no visit is complete without visiting a thermal spring Spa! By booking your tickets in advance, you do not have to wait in a queue; we provide fast & easy entrance through our separate Welcome desk. Admire the capital of Hungary from a new point of view! Forget about traditional sightseeing tours and take the experience: a memorable pleasure flight above Budapest, any time of the day. We can also take you to the country, making it into a full day excursion.